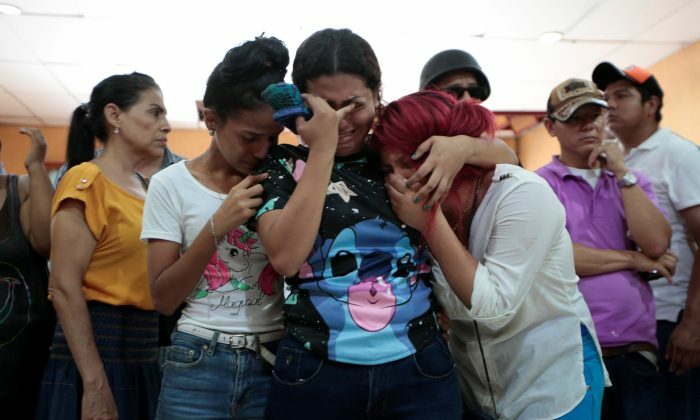 MANAGUA, Nicaragua–Eight people died on Saturday in a shoot-out and fire that shattered a truce struck hours earlier between Marxist–Leninist President Daniel Ortega and protesters, and civic leaders condemned the violence while vowing to continue talks with the government. Nicaragua’s crisis, the country’s bloodiest confrontations since a civil war ended in 1990, has spanned two months and claimed at least 170 lives. The unrest in the morning came hours after Ortega and protesters struck an agreement to end hostilities, clear roadblocks, and allow a foreign inquiry. Michael Healy, president of the agriculture producers union, blamed the government and law enforcement for the deaths of six people, including two children, as flames consumed their house in Managua after a confrontation with police. Two others died in the shoot-out. “We were going to sleep in peace and tranquility. And what’s sad was waking up to the death of this family, how they were burned,” Healy said at the conclusion of talks with the government moderated by the Catholic church. “The government wants us leave this table, and we’re not going to let that happen… it’s the only way to put an end to this,” he added. The dialogue proceeded as scheduled, with the leftist government and civic leaders agreeing to set up working groups to debate proposals including political reforms, mediators said in a statement. Talks will resume on Monday. Responding to Saturday’s unexpected flare-up, the national police in a statement attributed the morning’s gunfire to protesters, and said two men had died. Local media reported that police and pro-Ortega masked gunmen had fired at protesters guarding the roadblocks. Police also said that firefighters battling the blaze came under attack from masked “delinquents,” and that they would investigate the cause of the fire. The government did not reply to a request for comment on the reports. Local television showed images of firemen carrying two soot-streaked toddlers in diapers from the burning building. “This is a massacre. A barbarity. These police surrounded the house and burned it after my nephew refused to let them put snipers on the roof,” Jose Maria Hernandez, 63, uncle of the building’s owner who died in the blaze, told Reuters outside the smoking wreckage. Ortega’s surprise decision in April to slash pension benefits to cover a widening social security gap triggered demonstrations that quickly turned fatal and led to demands for his resignation. The Nicaraguan Center for Human Rights said at least 170 people were killed in eight weeks of clashes between pro-Ortega forces armed with assault rifles and pistols and protesters armed with rocks, slings and homemade mortars.